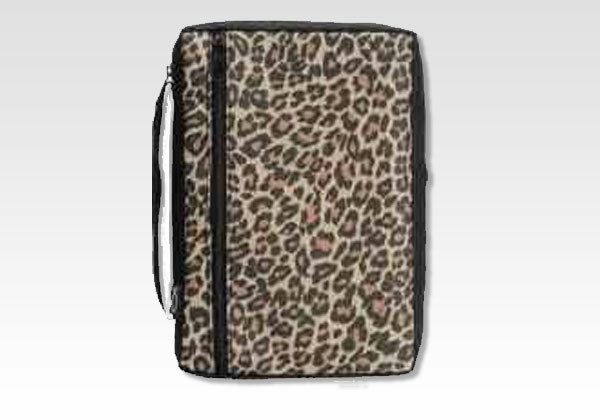 Leopard print bible cover. Canvas Bible book Cover. Size LG fits bibles up to 9" x 6" & Size XL fits bibles up to 9.5" x 6.5". 100% Polyester. Features outside zipper pocket & side carrying handle, sewn-in bookmark & pen loop.